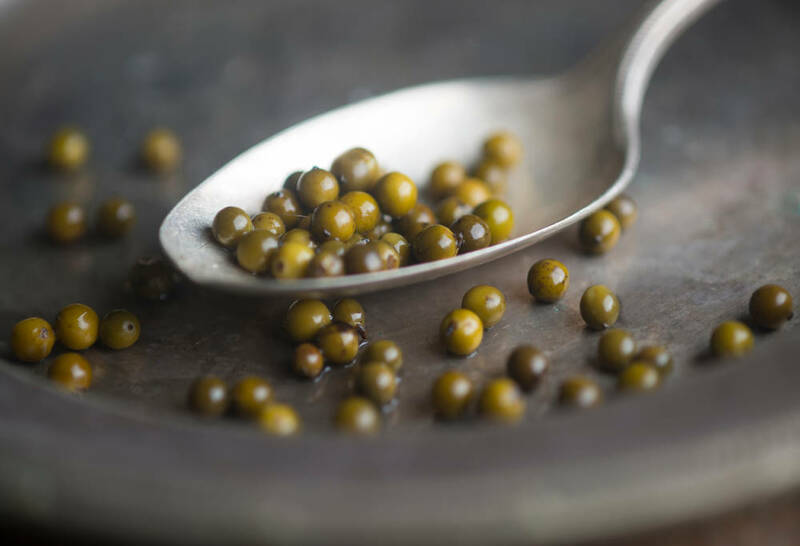 Green peppercorns are the same fruit as black peppercorns, they have just not gone through the same drying process as the common black peppercorn. They are the unripe fruit of the pepper plant and not nearly as strong in flavor. Commonly used in Thai curries for the fresh, complex flavor and subtle heat, the green peppercorn is also commonly used in sauces for steak. Green peppercorns are thought to help improve digestion. Originally from Youngstown, Ohio, Joe moved to Jackson, Wyoming, in 1995. He has been a member of the culinary staff at Teton Pines since 1998 and specializes in progressive American cuisine. This recipe highlights the mix of sweet and heat from the organic honey and the green peppercorns. If you are using dried peppercorns be sure to add a teaspoon of salt in place of the brine. 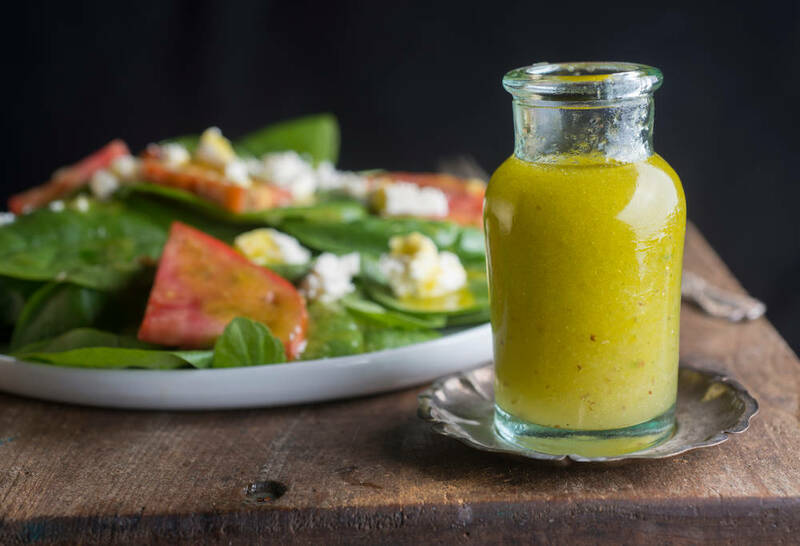 This dressing is great with tomatoes freshly picked from the garden or sun-dried tomatoes with spinach and a salty white cheese such as feta. It also works nicely on halibut with tomatoes and fresh tarragon. In a blender add vinegar, honey, dijon, brine, peppercorns, garlic, and shallot. Once blended, emulsify the vinaigrette by slowly adding the olive oil with blender on medium speed. Stir in fresh tarragon. Who doesn’t love a good condiment—especially one that is going to add the healthful benefits of fermentation to your dinner plate? 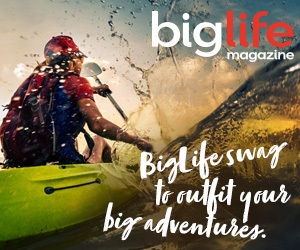 If you have not already jumped into fermenting then let this book guide your way it has several chapters dedicated to getting started including helpful information on tools, techniques, and ingredients. With recipes like Fermented Jalapeño Poppers, Vanilla Habanero Mash, Turmeric Golden Beet Salad & Chocolate-Cranberry Mole Ice Cream, this book elevates your home cooking experience. Allow the mixture to ferment for about seven days. 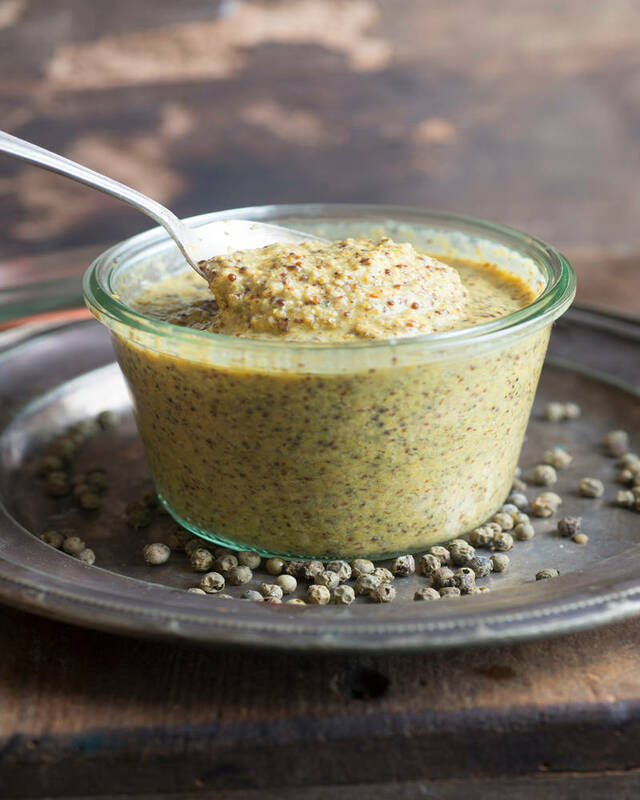 Mustards are ready to eat immediately, but the fermentation time gives them a smooth acidity and brings them to a lower pH, which improves preservation. Following fermentation, open the lid (it may pop slightly as carbon dioxide is released) and stir in the vinegar and the sugar, if using. If you’re using sugar, it will take a little while for the sugar crystals to melt into the mustard. Let sit for about 10 minutes, stir again, and your mustard is ready to serve. 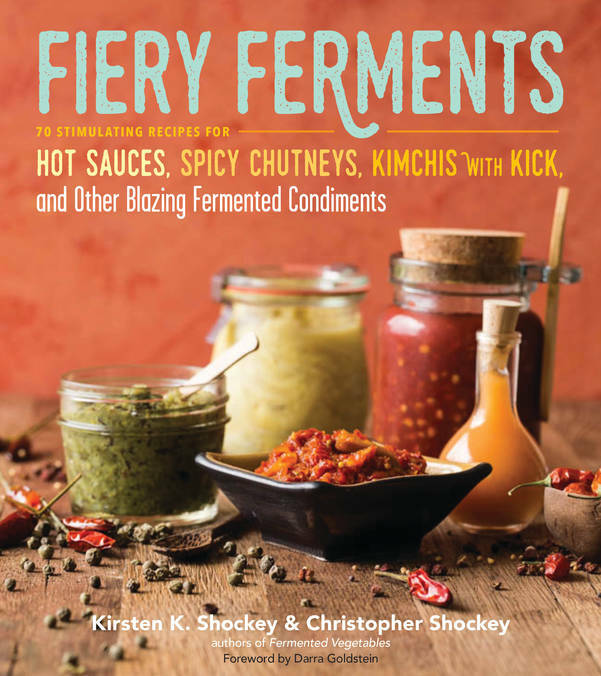 *Excerpted from Fiery Ferments, © by Kirsten Shockey and Christopher Shockey, cover photograph by © Lara Ferroni, used with permission from Storey Publishing.